I LOVE these! These would make great additions to the Easter baskets! 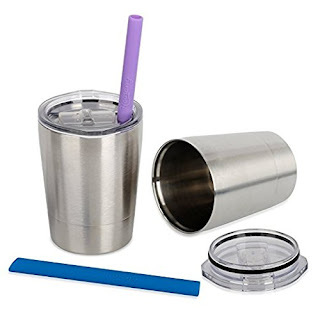 Head over to get this set of 2 Housavvy Stainless Steel 8.5oz Cups with Lids and Straws for ONLY $11.99 with code KEMVLAPE! That makes each cup just $6 each! High Quality Food Grade 18/8 Stainless Steel. Vacuum Insulated Double Wall Design Keep Drinkings Hot or Cold for Hours. BPA Free,Safe,Solid,Unbreakable,Reusable and Eco-friendly.